South Korea’s Celltrion announced on Friday it has won an appellate court battle, successfully nullifying all of five marketing-critical patents and fully cleared in Korea to sell Rituxan (rituximab), the reference drug of its biosimilar Truxima, in the treatment of chronic lymphocytic leukemia (CLL). Earlier, Celltrion filed lawsuits against patent holder Biogen between April and November in 2015, demanding Rituxan patents pertaining to five indications should be nullified. Of these, four patents were finally nullified between August 2016 and July 2017. In Mar. 2017, Biogen lodged an appeal weeks after the Intellectual Property Tribunal’s nullified the last remaining patent in the indication. On Thursday, an appellate court ruled in favor of Celltrion. A Celltrion spokesman said the company will focus on creating a stable marketing environment as patent trials that could hold back Truxima sale in Korea almost came to an end. 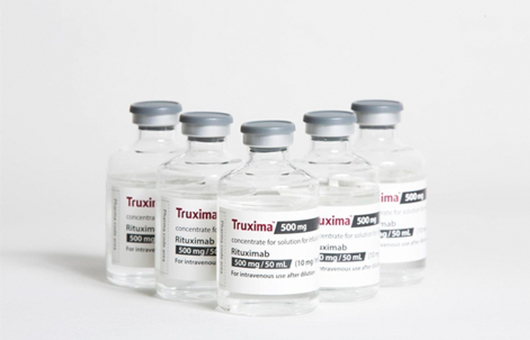 Truxima is used for the treatment of patients with non-Hodgkin`s lymphoma, chronic lymphocytic leukemia and rheumatoid arthritis. It was approved in Korea in Nov. 2016, in Europe in Feb. 2017 and in the U.S. in Nov. 2018. Shares of Celltrion finished Friday up at 201,000 won ($179.16).